Prestige was founded on the importance of the morphological features of the different equine breeds and on the needs of riders for comfort and balance. The saddle was designed around the new tree design, intended to distribute the weight of the rider uniformly over the horse's back, and adapt to different horse shapes. Contact Full Gallop Eventing for more information on how to get in contact with Prestige Saddlery. Adeptus® Nutrition provides a complete line of premium, science based nutritional supplements for horses, pets and humans. The Adeptus® product offering is truly “Nutrition Based on Science” with only top quality ingredients used in the nutritionally balanced formulas. The product offering provides solutions to the common supplemental needs of our horses, pets, and ourselves. The reasonable pricing on these concentrated, potent products results in tremendous value. Contact Full Gallop Eventing for more information on how to get started with Adeptus Nutrition. For information on becoming a sponsor, click here. For tax deductible donations, click here. Team Rebecca, LLC, is a group of Eventing supporters based out of Rebecca Farm in Kalispell, MT. They generously support the sport in many ways, one of which includes owning top level horses for event riders. Team Rebecca owns Fernhill Eagle, Marc's top horse. We are very lucky to call Team Rebecca our friends and supporters of Full Gallop Eventing! Grant Showalter is an equine professional specializing in body work and saddle fitting. Grant visits Full Gallop Eventing on a regular basis to help our horses feel and perform their best. Contact Full Gallop Eventing today to learn more. Efficient Arena Inc. has been building and repairing indoor and outdoor arenas since 1991, providing the experience of over 385 arenas with corresponding references. Efficient Arena Inc. is the exclusive distributor of Equiloft rubber/fiber arena footing. Equiloft is a proprietary blend of up to three different types of rubber granules and fibers. This unique mixture provides optimal absorption of concussion, stability and drainage to new or existing sand footings. Contact us today to get started with Efficient Arena Inc. and Equiloft footing. Contact FGE for more information on Samshield Helmets. Olson's Tack Shop is the premier equine retailer in the Seattle area. Mike Akers and his helpful staff make every rider feel welcome to the store, and they provide everything from saddles and helmets to braiding bands and stock pins. Olson's carries Prestige Saddles and Samshield Helmets, and have staff that can fit them properly to you and your horse. Saddle fitting is available through Courtney Dale at Olson's. Visit Olson's Tack Shop today! The Orange Slow Feeder Line of products has been created as an alternative to other products available on the market today. They created slow feeder nets to be sturdy, long-lasting, and easy to use. With a life expectancy to rival other nets; they reduce the frequency and cost associated with feeder net replacements. Their nets reduce hay waste and provide a more natural and healthy way to feed livestock. The FGE horses love them! 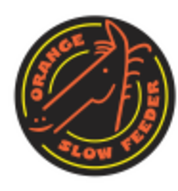 Contact FGE for more information on Orange Slow Feeders.